Spring is finally here! This weather is perfect for going to the park! New York has some of the most magical and fun parks. You can go and play with your dog, go on a walk with a friend or family and even a significant other. You can also just go and have a peaceful stroll on your own. 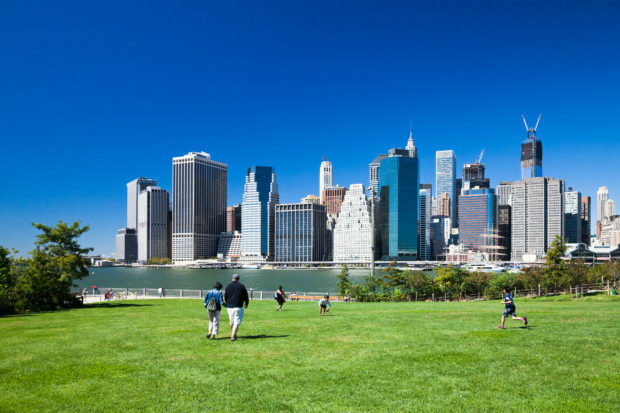 There are so many parks in NYC, so which ones should you go to? Well, today I’ve narrowed down 3 amazing places that you will defiantly want to visit. Brooklyn Bridge Park has become so popular in the five years since it debuted. The project has transformed a chunk of the Brooklyn waterfront into an 85-acre expanse; several sections house unique attractions such as Jane’s Carousel, a restored 1920s merry-go-round, and riverside esplanades with gorgeous Manhattan views. Its latest addition, Pier 2, designed specifically for “active recreation” sporting leagues, picnics and roller skating, further cements the space as the city’s premier urban playground. You can also book a rental bike online! 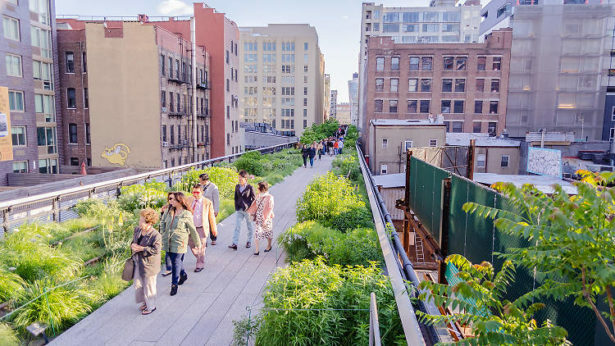 In a city famously known as a concrete jungle with crowded streets, astronomical property rates, and few green spaces, the High Line is a key example of New York’s willingness to transform, adapt and innovate.The spot is most popular during the warm months. While the flowers and plants a selection that is mostly indigenous to the region are in bloom, the wood lounge chairs are coveted. Sunset is also a very popular time, so, if you can, try for a morning or afternoon walk. 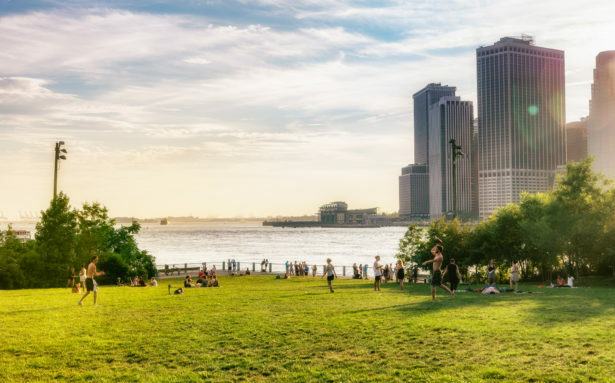 This strip of waterfront park stretches from Battery Park to 59th Street, allowing you to walk, bike or skate while looking at the Hudson River and New Jersey. There are flowers, benches, piers and lots of programs, including youth sports and kayak rides in the river. 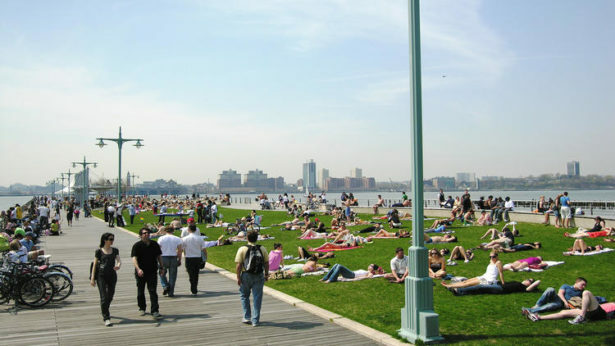 You can also Join a fabulous New York City bike ride along the Hudson River Park Greenway and through Central Park. Enjoy spectacular views of the river and city skyline as you cycle at a leisurely pace through the city.